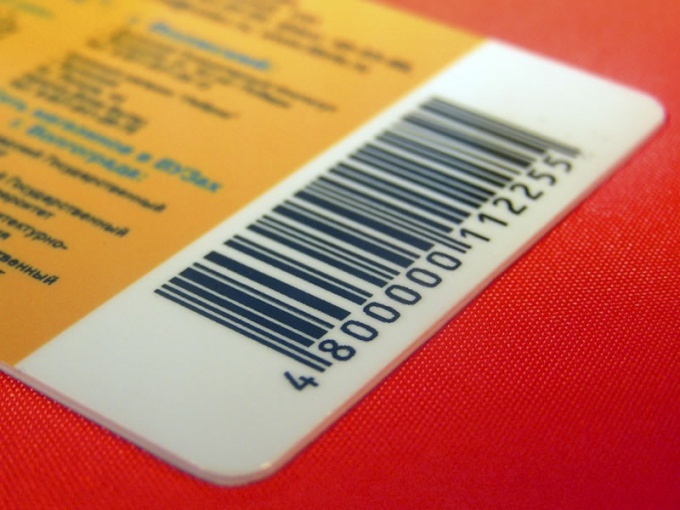 Barcode - a kind of commodity symbol for automatic reading and identification of the product, it contains the basic information about it is unique. The barcode consists of a series of parallel lines of different widths arranged side by side, and the intervals between them. Different width of lines used to codethe funding data symbols. Under the picture is Arabic numbers, it is encrypted. Computer, easy jet, dot matrix or laser printer and paper for printing, Word, WordPerfect, Access, FoxPro or Excel. Typically, the barcode is printed on the label by the producers. If you print the label yourself, and the barcode you will have to print myself. It is very simple. Open Word, WordPerfect, Access, FoxPro, Excel or any other Windows program, create a new document. Select the TrueType font Font. This is the codeof the new font, same as the other fonts in your computer. In its application all the necessary information is printed in the barcodethe my. Fill in the document and place the picture of the barcodea on the sheet in the desired form. As experience shows, it is best to apply the barcode already on the label. Many thermal transfer printers already print labels with a barcodeif you laid it in the program. It remains only to stick the label on the product. Typically, the barcodes is applied for easy identification of the product, its transportation and storage. This information needs more than the manufacturers and sellers of goods, rather than consumers. Our country, like most countries, uses to encode the EAN system, where encrypted 13 digits. The first 2 digits – country code encrypted, then 5 digits – code of the manufacturer or seller, the following 5 digits are the item code, and the last is the number of accuracy control scan.